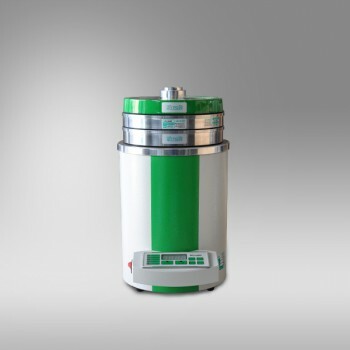 The air jet sieving machine LPzB-2e is suitable for the sieving of light materials with particle sizes down to 0,063 microns with the micro-precision sieves. An industrial vacuum engine generates a jet of air which blows through a rotating slotted nozzle against the sieve mesh. The particles on the sieve are dispersed by impact on the lid and distributedall over the sieve surface. Each sieving process provides one fraction. LPzB-2e has the ability to store 10 programs with any adjustable parameter values: time, interval, working preassure (kPa). 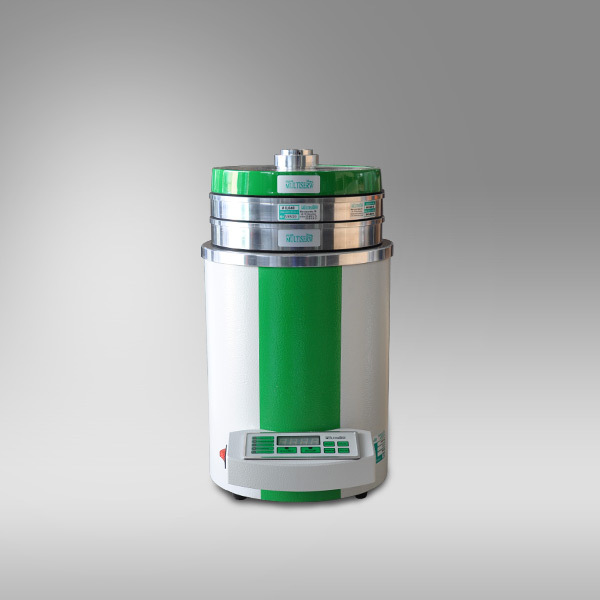 Automatic adjustment of vacuum assures a repeatable and reliable results. One of the modes can also be performed with vacuum manually adjustabled in range 0-100% of the unit power. Modern design, proven air distribution system that uses a rotating nozzle, adjustable vacuum in automatic or manual mode, as well as the possibility of using sieves with a height of 25mm makes the sieving technology more excellent.